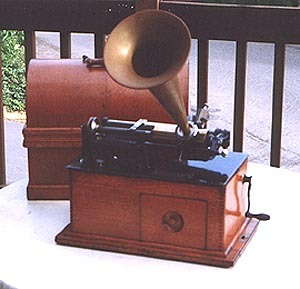 The Edison Spring Motor Phonograph was introduced in 1895 and was one of the first Edison machines designed for the general public. The selling price was quite high and although many were made, it never became as popular as its successor, the Edison Triumph. 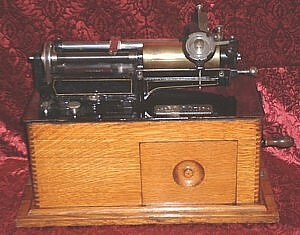 The upper part was similar to the earlier Class M Electric machines. A shaving device was attached. The machine came with a drawer to hold oil cans and a brush for shaving wax cylinders.